On the western coast of northern Scotland, just 16 kilometres away from the mainland, lies Eigg Island, an island that runs almost entirely on renewable resources. The nine kilometres long and five kilometres wide island was bought by the Scottish Wildlife Trust, the Highland Council and largely by 10,000 Scottish citizens in 1997 from a German artist for $2.5 million. The goal was to ensure that sustainable development would not harm the wildlife that surrounds the island. Inhabitants of around 80 citizens own their own plot of land and host regular meetings to improve the island. Among their concerns, electricity was a top priority. The villagers began using gas generators, but realized the noise and pollution was not a sustainable solution. As a result, the community began to develop sustainable ways to produce electricity. By 2008, the village began to produce a smart grid that incorporates the use of windmills, hydroelectric dams, and solar panels to use both the landscape and the mild Scotland weather to power their community. In addition, some citizens are building their own system to produce a private supply just in case. Renewable resources power over 90 per cent of the island’s electricity, with the remaining 10 per cent stemming from gas generators for emergencies. 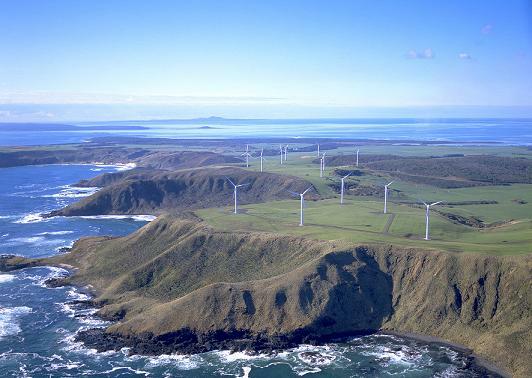 The town now has over 30 solar panels, three hydro dams, four wind turbines, two backup diesel generators and a room with rows of batteries that store up to four hours of charge for the 50 homes that inhabit the island. The entire grid renovation costs $2.64 million, which was funded by the European Union and national bodies. Since the shift from gas-powered generators to sustainable resources, the amount of CO2 production decreased by 47 per cent, down from 8.4 tonnes to 4.45 tonnes of CO2 annually per household. The grid produces enough for each home and its growing population of just under 100 citizens to use 5 kilowatts at a time, which is the amount of the average American household. There is a charge of 35 cents for power consumed per hour, which is a little more than the comparative 25 cents per hour of the average home in Northern Ireland. Businesses have a limit of 10 kilowatts and 16 cents for maintenance. To prevent overconsumption, your electricity will be automatically shut off with a charge of $22 for the power to be switched back on. No one has been reported to have gone over the limit, as there are warnings when you are nearing the limit. There are some concerns with the efficiency of electricity production, and whether it’s possible to become solely reliant on sustainable energy instead of gas generators, but the inhabitants are said to be constantly working to improve the use of renewable resources to accompany days when they are short on electricity. 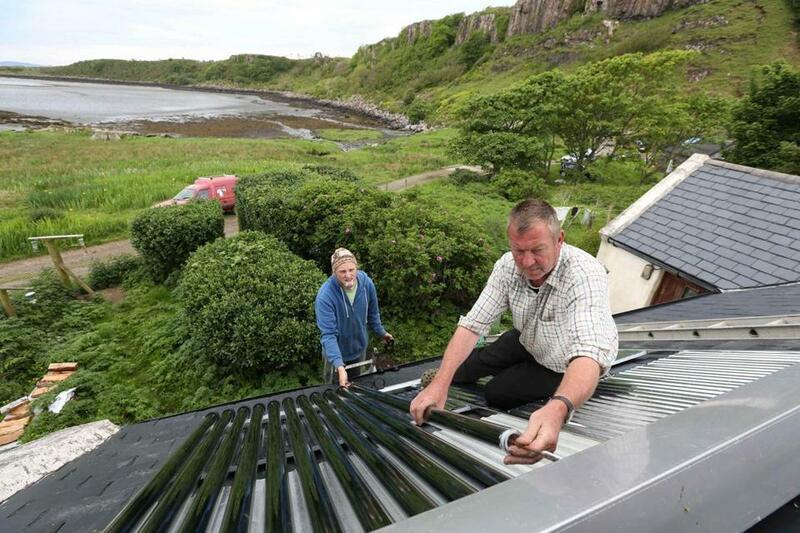 To counter low rainfall resulting in less electricity for hydro dams and turbines, Eigg has invested in solar energy. “Electric light is a great luxury. Now I have a television, a sound system, a refrigerator, all the stuff that people take for granted,” says local postman John Cormack in Al Jazeera. The technological design is considered a remarkable feat, and a model to show others that it’s possible to be almost—and hopefully in the future entirely—self-sufficient on renewable resources.